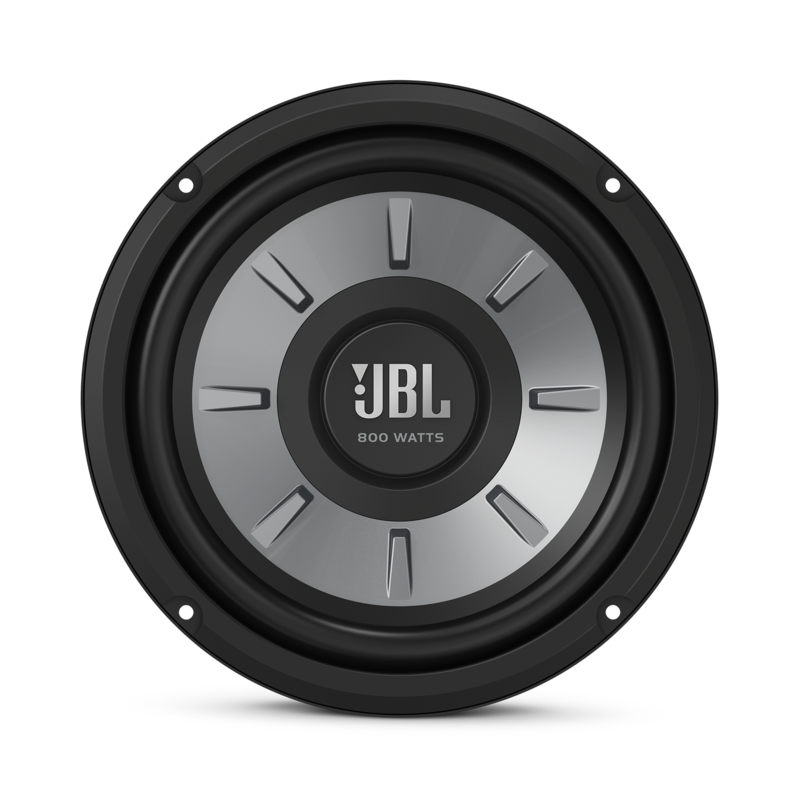 JBL Stage 810 Subwoofer | 8" (200mm) woofer with 200 RMS and 800W peak power handling. 8" (200mm) woofer with 200 RMS and 800W peak power handling. This is JBL—the speaker and sound that has excited audio enthusiasts for over 70 years. There's nothing better than riding with JBL sound. 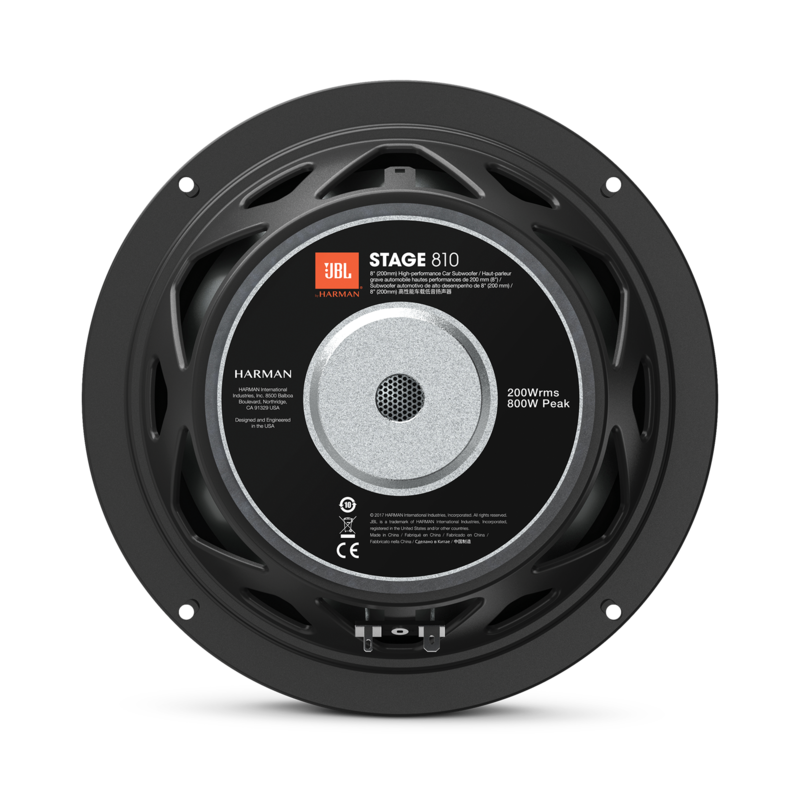 Price leading JBL Stage car subwoofers were engineered to deliver high-output, low-distortion bass with power handling capability of up to 1000 watts peak power. (Available in three sizes—8" (200mm), 10" (250mm), 12" (300mm)—for every size vehicle from compact to limo.) 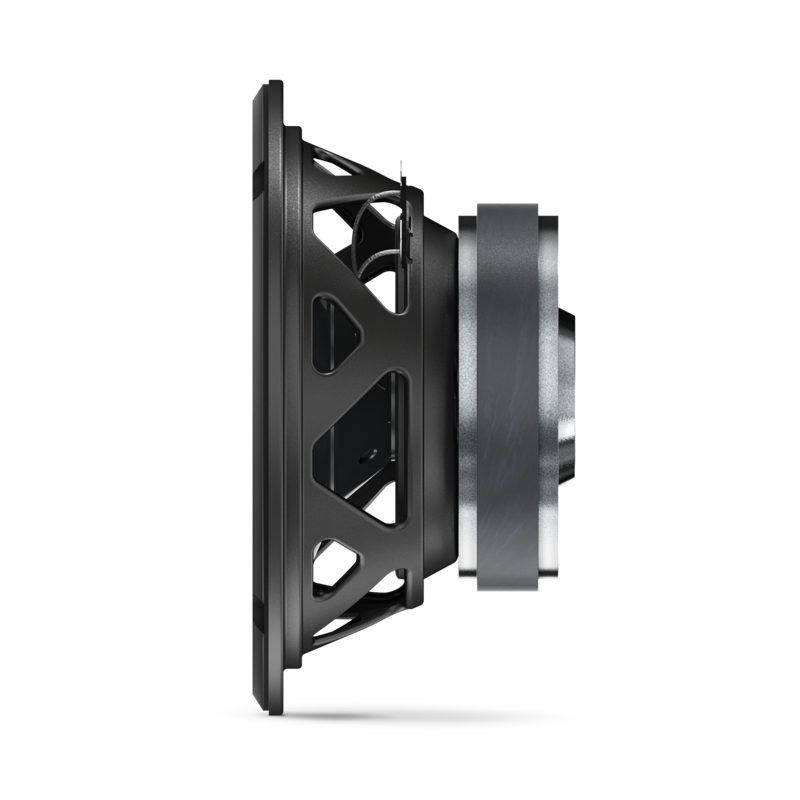 These subwoofers feature lightweight yet stiff polypropylene woofer cones with hi-roll rubber surrounds to provide high-efficiency and super durability to best interface with a variety of amplifiers. 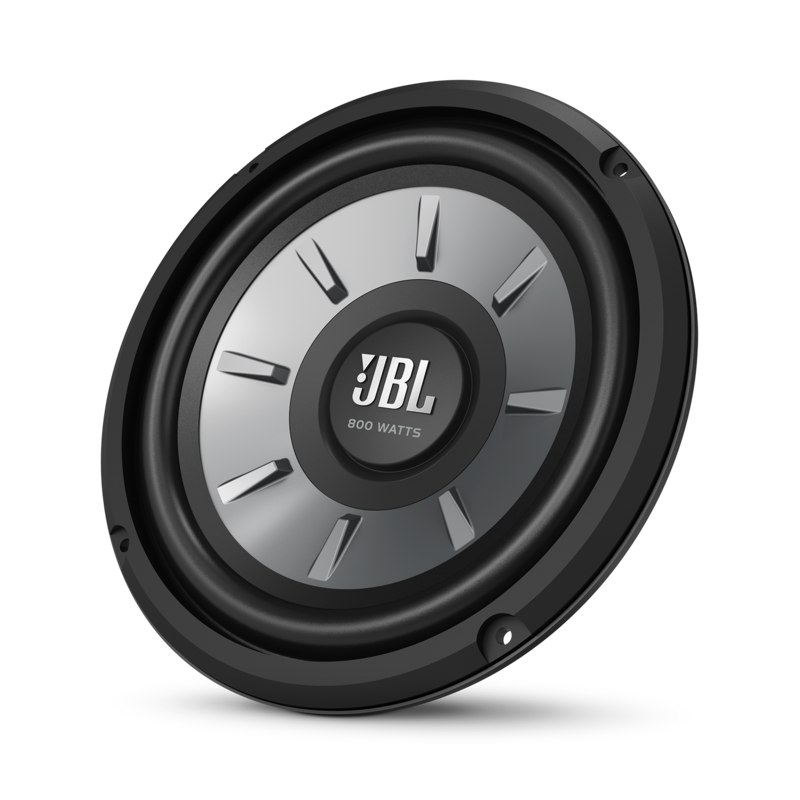 Finally, our subwoofers and loudspeakers are individually tuned by some of the world's best transducer engineers to ensure we achieve the signature sound that is unmistakably JBL.